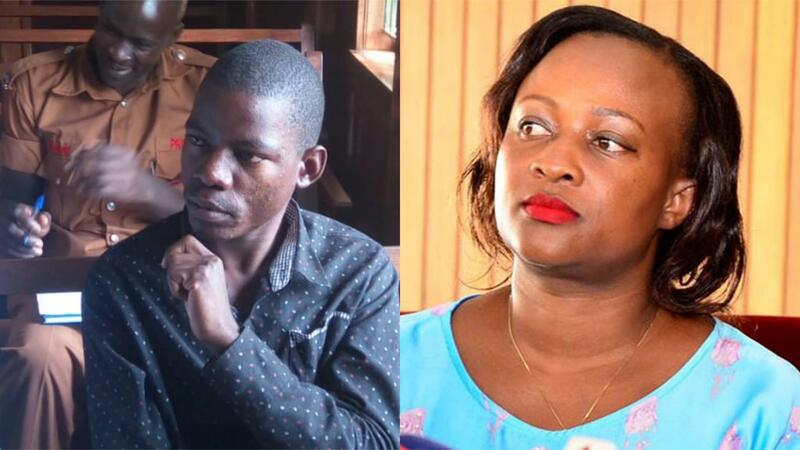 KAMPALA – Buganda Road court has forwarded the case file of a college student accused of sending love messages to the Kabarole District Woman MP, Sylvia Rwaboogo,to the High Court for interpretation. Brian Isiko, 25, file was forwarded at the request of the state prosecutor, Ms Miriam Njuki who has applied for leave of court for the case to be referred to High Court for an interpretation on whether they can introduce fresh evidence and new witnesses in the case. According to Ms Njuki, she feels she cannot prove charges against Isiko with only one witness; Ms Rwaboogo who cannot tender in court exhibits such as phone print-outs that show that indeed Isiko sent her the love messages that she claims to be obscene and rude. The case had come today December 19, 2018, for viewing and listening to songs and poems of International musicians from whose lyrics Isiko claims to have borrowed words that he composed inform of messages to express his love to the legislator. The trial Grade one magistrate Stella Amabilisi has now referred Isiko’s case file back to the High court for an interpretation on whether she can allow new witnesses and evidence in a case that is for a re-trial. Although Isiko’s lawyer Mr Ramathan Waiswa had objected to the state’s submission citing that the trial magistrate had already ruled that new evidence cannot be brought in a case set for retrial. Prosecution alleges that between the months of November 2017 and June 2018, Isiko used a computer to make love requests, suggestions or proposals which were obscene, rude, lustful or indecent to the person of Ms Rwaboogo. It adds that Isiko willfully and repeatedly used electronic communication through SMS messages or attempted to disturb the peace and quiet enjoyment or right to privacy of Ms Rwaboogo with no purpose of legitimate communication.